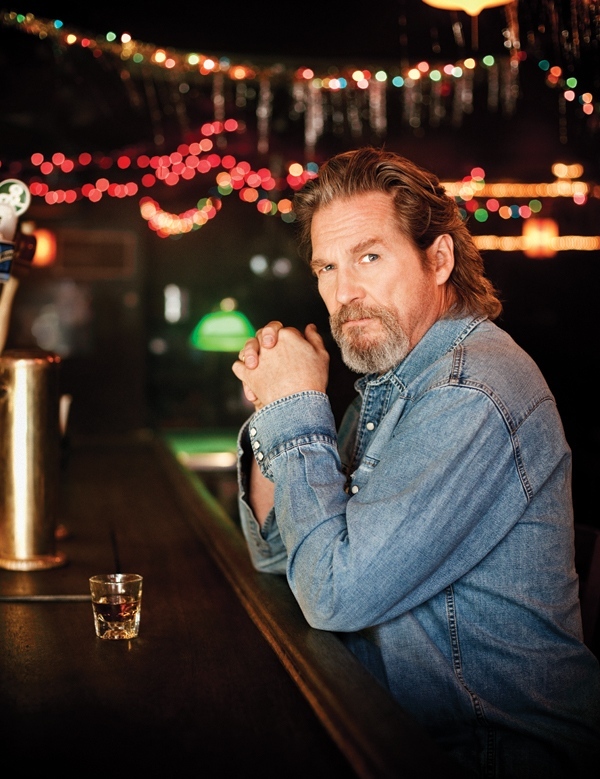 Like the character he plays so convincingly in Crazy Heart—Bad Blake, an aging Texas troubadour grown weary of his hard-drinkin’, honky-tonkin’, country-music career—Jeff Bridges has been around music all of his life. But unlike Blake, he has loved every minute of it so far. And that actually has helped him approach his Crazy Heart character, and the music he sings, with such enthusiasm and empathy. That’s one reason he is a favorite for an Academy Award for Best Actor (he took home both the Golden Globe and Screen Actor’s Guild awards for leading male role) as this story goes to press. Another reason Bridges’ portrayal is so memorable is because he has great songs to sing. Many were written especially for the film by T Bone Burnett alongside the late Stephen Bruton, rising alt-country star Ryan Bingham and others. Songs like “Somebody Else,” “I Don’t Know” and “Fallin’ & Flyin’” sound like the hit records that the film tells us Bad Blake once had. And “The Weary Kind (Theme From Crazy Heart),” the quietly elegiac ballad Bingham wrote for the film, is up for an Oscar nomination for Best Song. Bridges, now 60, started acting as a teen in his father’s 1962-63 The Lloyd Bridges Show, and received a Best Supporting Actor Oscar nomination for his first major role, in 1971’s The Last Picture Show. More than 50 films have followed, but Bridges has also maintained his keen interest in music along with acting. He’s especially proud, for instance, of his role as a lounge-jazz pianist in 1989’s Fabulous Baker Boys, with music provided by Dave Grusin. And he co-owns a record label, Ramp Records, that released his folk-rock-soul album, Be Here Soon, in 2000. And occasionally, Bridges will make music with friend and Ramp partner Chris Pelonis. But still, neither Bridges’ life (he’s been happily married for 33 years) nor music is outwardly similar to the Bad Blake character, a 57-year-old Texan steeped in old-school traditionalism with a twist of rock and 1970s-era outlaw country. The film’s first-time director Scott Cooper, who also wrote the screenplay from Thomas Cobb’s novel, told Bridges to think of Blake as the fifth Highwayman. For those of you slow on the draw, that’s the supergroup formed by outlaw-country veterans Johnny Cash, Waylon Jennings, Willie Nelson and Kris Kristofferson—serious company for Bad Blake to keep. At the film’s start, Blake is reduced to driving his beat-up Suburban from one desolate Southwest gig to another, feeling nearly faded as his jeans. Sometimes, he plays in dumps like a bowling-alley lounge—sometimes, he gets so drunk he throws up in dumps like a bowling-alley lounge! A protégée once in his band, played by Colin Farrell, is now a big-time star and wants Blake to write songs for him, but the hard life has produced writer’s block. And he’s become a weary loser—a paunchy, unkempt chain-smoker, constantly short of breath. He’s a loner living on the road, but offered a possible shot at redemption by a sensitive single mom/journalist, played by Maggie Gyllenhaal (nominated for the Best Supporting Actress Academy Award), who adores his creative strengths, but hates his personal weaknesses. Unfortunately, it was tough for Cooper to acquire rights to make a film of Haggard’s life. 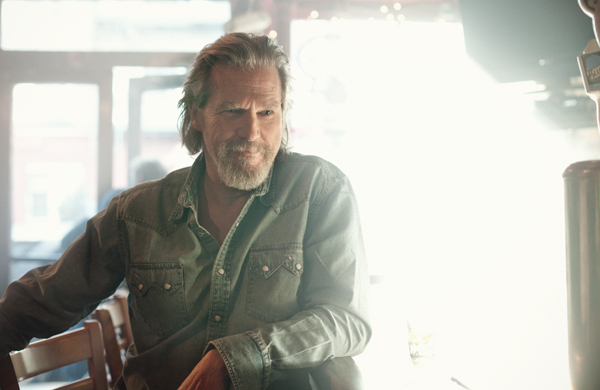 An acquaintance suggested he read the obscure, out-of-print 1989 novel Crazy Heart; Cooper did and thought it would be a good film. Novelist Thomas Cobb had modeled it on the life of Hank Thompson, a Texas-born Western swing musician who kept performing and recording virtually all his life—even after his stardom faded—until dying in 2007 at age 82.